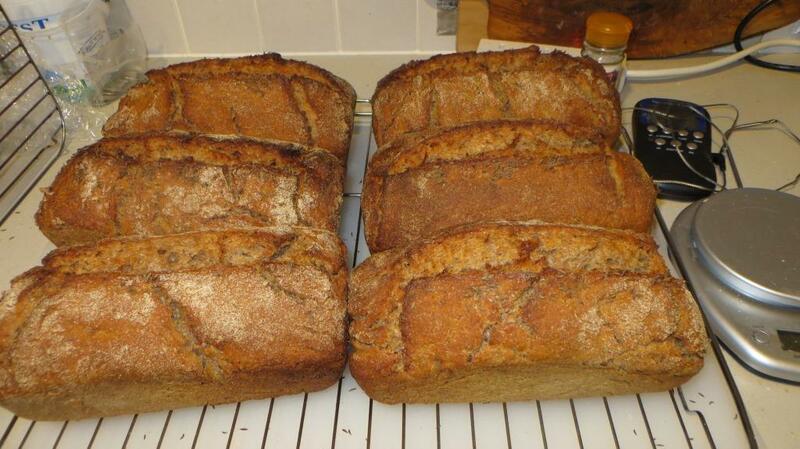 I’ve just taken six lovely sourdough loaves out of the oven, made with Stoate’s Mill organic strong white and rye flours. They smell and look delectable. I’ll have to wait until tomorrow to try one, though!